British Gas has been honoured at the Business Charity Awards. The energy supplier was named Third Sector Business of the Year after stepping up support for its most vulnerable customers. Ian Peters, a Managing Director at British Gas, claimed the award highlights the extent to which the supplier is willing to go to help low-income households, charitable organisations and unemployed youngsters. Peters said that British Gas is immensely proud of its work in the community, having provided a training scheme for thousands of young adults who have experienced difficulties finding work. But British Gas is not merely interested in developing the skills of unemployed youth; the supplier has worked closely with schools through its Generation Green programme to ensure that children aged between five and fourteen years are educated on sustainable energy. Climate change is a problem that will hit future generations the hardest, so equipping young people with the skills and knowledge required to support sustainable energy is eminently sensible. According to some sources, however, Britain is on the brink of an energy crisis that can only be averted if green policies are abandoned in favour of those that support the use of coal and shale gas. Energy prices in Europe are said to be three times as high as they are in the US, where reliance on fossil fuels remains strong. British Gas, therefore, is preparing young people in Britain for a future that seems destined to be marked by energy shortage, fuel poverty and irreversible climate change. The Third Sector Business of the Year Award does not show that British Gas is able to change the future, but it does recognise that the supplier has made an effort to change the present for many households. After receiving the prestigious award, Peters noted that British Gas has a commitment to help struggling households with their central heating bills. At the core of the supplier’s sustainable energy policy is the aim to reduce consumption of gas among fuel-poor households. 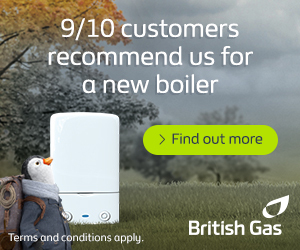 But British Gas also provides credit for vulnerable customers via the Warm Home Discount, which is worth up to £130 a year. According to Peters, the supplier also employs a policy of not disconnecting customers who fail to pay their bills on time.